Giants, dragons and horned beasts. A colourful cast of mythical creatures lurk in the woods, the hills and the waves. Their roots stretch back to the Pagan, the Celtic and the pure fantastic. The West Country collective imagination has given birth to a pantheon of the strange, the wondrous and the downright bizarre. 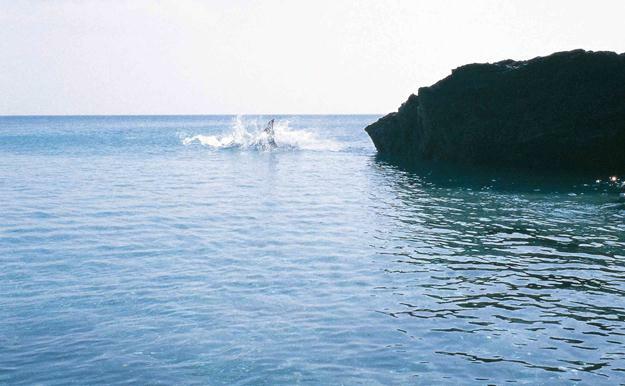 Believe them, or not, the tales run deep in the soil, the sea and the stone of the landscape. Take them with a pinch of seasalt. But there's no denying the hold they've had for hundreds of years. And there's nothing like the flash of a mermaid's tail or the whiff of a dragon to get the little ones tugging you out of the door for a walk. 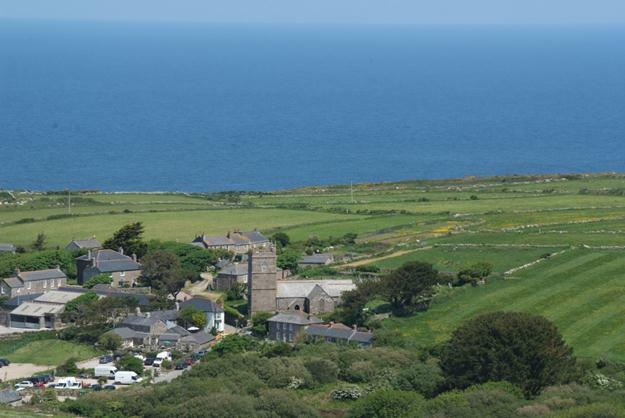 Not far from St Ives in the far west of Cornwall, the ancient village of Zennor was D.H. Lawrence's favourite village. 'At Zennor one sees infinite Atlantic, all peacock-mingled colours, and the gorse itself is sunshine...' he wrote. What he didn't mention were the mermaids. In local folklore, Zennor is known as the place where local lads were lured into the watery depths by beautiful mermaids. Take the path from Zennor to Zennor Head and keep your eyes peeled for a glint of a tail, especially around Pendour Cove. If you don't spot a live one, you can see the famous carving of the Mermaid of Zennor in the church. The Tinner's Arms opposite the church is a favourite with locals and visitors for lunch. Local's tip: On the south side of the church tower, there's a bronze dial bearing the figure of a mermaid. It was a calm evening in 1944 when the Ibis sailed out from Mevagissey harbour to fish for pilchards off Fowey Point. That night, as the boat made its way back to the harbour, the crew were nearly tipped overboard when a strange creature breached up from the dark water. So the fishermen's tale goes. Since then, there have been more stories of a mysterious animal sighted in Gorran Bay near the bustling harbour on Cornwall's south coast. Morgwar the Mevagissey Sea Monster has gained a reputation as the Cornish Nessy. Pack a pair of binoculars, take a trip on the Mevagissey to Fowey Passenger Ferry and scan the horizon for her. While you're here: Stop in at the magical Lost Gardens of Heligan. A possible Cornish Nessy sighting? High up on Bodmin moor, is Dozmary Pool. Fabled resting place of King Arthur's Sword, Excalibur. Home of the Lady of the Lake. Some say it's bottomless. The story of Jan Tregeagle tells of the Cornishman who made a deal with the devil. He was sentenced to the impossible task of emptying Dozmary Pool with a limpet shell with a hole in it. (Others say that when the pool dried up in a drought, it exposed a shallow sandy bed. With no sword to be seen either. But that's beside the point.) The strange emptiness and wilderness on Bodmin Moor does something to your senses. Sit for long enough, and you might hear Tregeagle's ghost howling across the moor. Or glimpse the Lady of the Lake. You might even see the Beast of Bodmin. 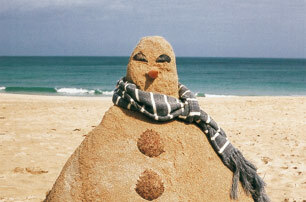 Warm up afterwards at nearby Jamaica Inn – though be warned, that's said to be haunted too. 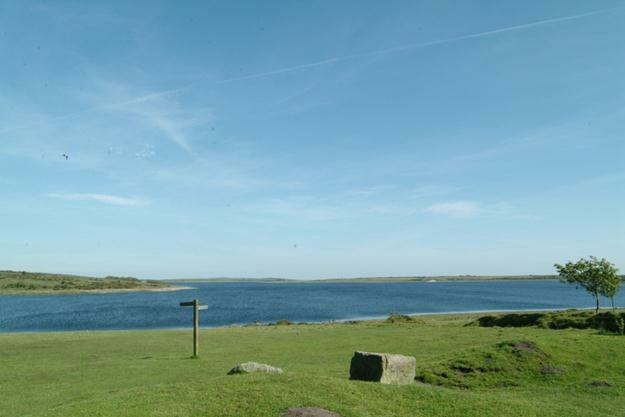 Local's tip: Park in the free car park on the south shore of Colliford Lake to walk to Dozmary Pool. Tintagel, legendary home of King Arthur and the knights of the round table. On Tintagel Head the atmospheric ruins of the 12th Century castle command spectacular views up and down the rugged north coast of Cornwall. Explore the ruins before setting out south along the coast path towards Boscastle on the Tintagel and the Rocky Valley walk. The views of the north Cornish coastline on this walk are spectacular. Along the way you'll come across a ruined village and Bronze Age carvings. When you arrive in Boscastle, round off the walk with a visit to The Museum of Witchcraft. Home to the largest collection of witchcraft artefacts in the world. 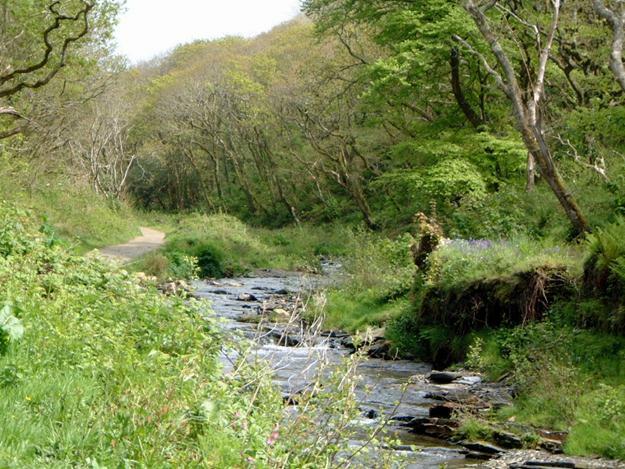 Tip for walkers: 23-27th April, 2012 is Boscastle Walking Week. Everywhere you go on Dartmoor, the rich, often spooky history of the moors is staring you in the face. Haunted castles and abbeys, standing stones and remains of Saxon villages; the past seems alarmingly unwilling to lie down and keep quiet here. Every old building or landmark seems to be connected to a tragic tale and it's easy to be swept up in the myths, legends and fairytales. Hound Tor is the stack of rocks that inspired Arthur Conan Doyle's 'The Hound of the Baskervilles'. 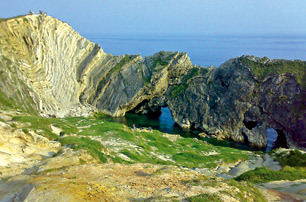 The area around it is famed for ghosts. The remains of a medieval Devon village shelters on the northern slopes of the tor, commanding superb views across the moors. Take your dog and see how he/she reacts. 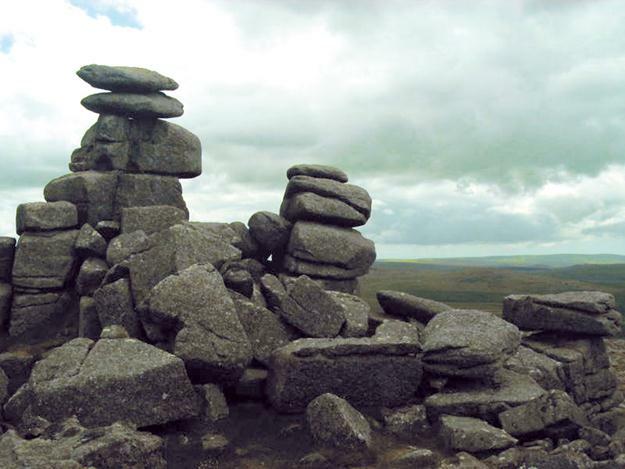 Insider tip: For the inside line on Dartmoor's hairy hands and headless horseman, take Dartmoor National Park's guided Dartmoor Myths and Legends Walk. In Somerset, on the fringes of the Quantock Hills, Nether Stowey is a village where rural community spirit is alive and well – perhaps the fact that three busy pubs still thrive here is testament to this. 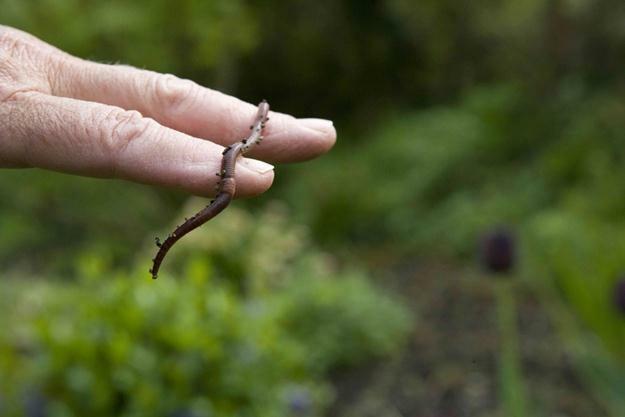 Locals say that nearby Shervage Wood was home to a ferocious dragon, The Gurt Wurm. He hunted at night and by day slept under a giant oak tree. One day, Joe Tottle, a woodcutter, dozed off on the Wurm after one lunchtime cider too many. The Wurm awoke and Joe chopped it in half with his axe. But before The Gurt Wurm died, it laid an egg. Hunt for the Giant Wurm's offspring in the woods. If you don't find him, there are 36 miles of The Coleridge Way in the area to explore. The ancient oaks are still there too, just don't fall asleep under one. While you're here: Visit Coleridge Cottage where Coleridge penned the Rime of the Ancient Mariner. A potential Gurt Wurm offspring? The village of Cerne Abbas in Dorset is home to the famous Cerne Giant, a huge chalk man carved into the hillside whose function is (clearly) as a fertility symbol. (Expect much sniggering from younger members of the family.) The climb to the top of the 180ft giant is rewarded with fantastic views of the Dorset countryside. Go on May Day, before sun-up, and you might just catch a glimpse of the horned Dorset Ooser Beast dancing on the hill to welcome in the spring. Or just visit the The Dorset County Museum to see the Ooser mask. 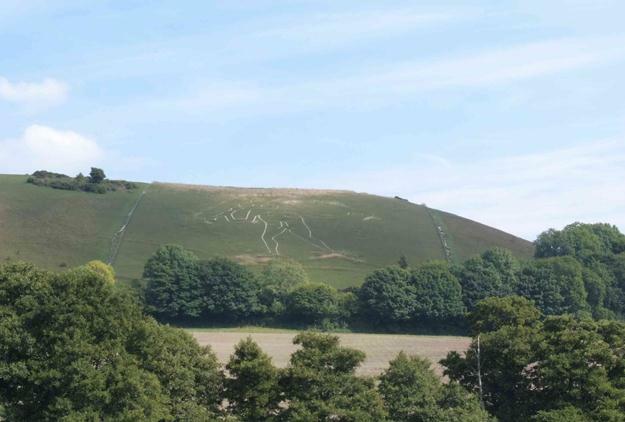 Guide Reviewer's tip: The best view of the Cerne Abbas Giant on the hill is from the car park on the A352. Looking for more forays into the weird side of West Country culture?